It’s no secret that I love Halloween. So naturally, I was more than excited to see the return of the Midsummer Scream Halloween Festival to Long Beach, California last weekend! This was the second year for this particular event, and to be honest – it was bigger, better, and much spoooookier this time around. The thing that I love about Midsummer Scream that sets it apart from the other conventions/festivals (besides that it’s walking distance from my house) is that it not only focuses on everything to do with the holiday of Halloween – but also has a bunch of mini versions of your favorite local area haunts as well! It’s a completely separate area known as the ‘Hall Of Shadows‘, where you can literally walk through mini haunted houses to get a taste of what they have to offer. If you like what you’re seeing/feeling, then you can go to the larger version this haunt season. How’s that for a slice of fun? Aside from the ‘Hall Of Shadows‘, I had a blast visiting all of the vendors (per usual spending too much money) and seeing all of the cosplay attire from my fellow festival attendees. The addition of The Addams Family photo op was a nice touch, as were the additions of even more panels and presentations. All in all, the folks who put on Midsummer Scream outdid themselves this year. Not only did it get me in the right mood for Halloween, but it also made me realize that I’m not alone because the crowd was HUGE this time around! I only can expect the same next year…..just don’t change the location please, because it’s much better not to have to worry about parking. Selfish request, I know. 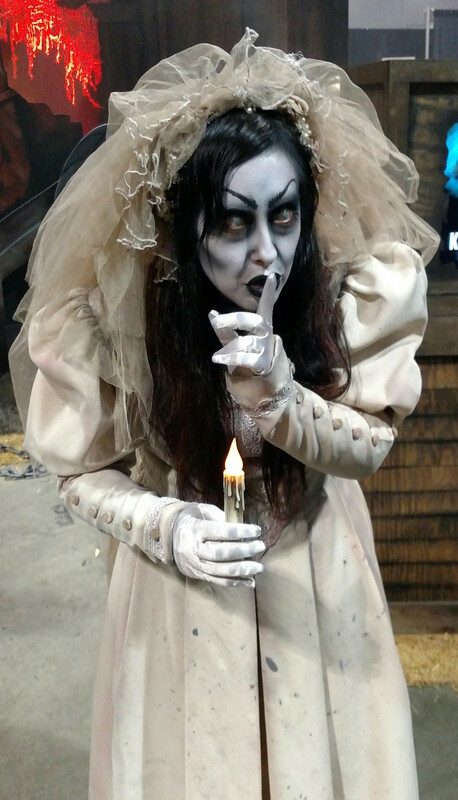 This entry was posted in Review and tagged dirty horror, hall of shadows, hall of shadows midsummer scream, halloween, halloween convention, halloween festival, midsummer scream, midsummer scream convention, midsummer scream festival, midsummer scream long beach, review by Dirty Horror. Bookmark the permalink.